Jenny Bello, DDM (Davie) - Book Appointment Online! Our mission is to provide high quality, comprehensive treatment to people of all ages. Our Davie dentists & staff will show you how easy and affordable it is to have healthy teeth for a lifetime. 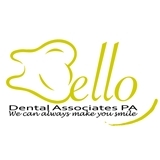 Personalized dental care and attention is what makes our practice unique.